Ian Tanner | A Blog Diary of My 28 Day Album! A Blog Diary of My 28 Day Album! About Ian Tanner and "I'll Fix It In The Mix!" Ian Tanner’s “Top Something-er-Other” List of 2011! Ian Tanner’s Top Something-er-Other List of 2011!! I usually don’t do BEST-OF lists at the end of each year, mostly because my musical tastes are often very in the past! A few years ago, I began paying attention to music journalism outlets such as NPR (All Songs Considered), Paste Magazine, and KCRW (Morning Becomes Eclectic). This is a great way to discover emerging artists who, contrary to the multiple-selling Pop acts of the day, are actually making creative, listenable, new music. With the assistance of the above mentioned and a little bit of luck of my own, here is my list of favorite musical discoveries of the year 2011. First off, not all of these artists put out albums in 2011, so some of them represent discoveries I made whether or not their albums were released last year or not. It’s important to point out that this album is over 3 years old. It is one of the most inventive Progressive-Pop albums I’ve ever heard. They have a new release set for 2012, which I can’t wait to plow into. This makes my “best album of the year” list, whether it was recorded last year or not! Again, this is NOT a new album. The Fiery Furnaces are a brother and sister duo, who did all of their albums prior to 2010. Their album Widow City was a major part of my year last year. It is not for all tastes. The best way to describe their music is MANIC! It is abrasive, complex, annoying and very freaking clever. I love it! Her debut album was released in early 2011 and became a “buzz album” as a result. She is a British singer-songwriter-guitarist, who’s band consists of guitar, drums and a female multi-instrumentalist who plays organ bass pedals, harmonium, percussion and sings simultaneously. Very cool, moody music. Their album came out just towards the end of 2011, and is a wonderful Pop gem, with great musicianship, clever songs, and interesting instrumental invention: ie. they use Bluegrass instruments in music that is not at all Bluegrass. This is a fun, 60’s-tinged Pop album that I discovered using the iPhone App: Band of The Day. She is a brilliant singer-songwriter. Everything I’ve heard from her is unbelievably great. She is “granola” all the way, but she plays a wonderful vintage Gibson guitar! I discovered her music in 2011, although my favorite stuff of hers is a good 5-6 years old. She is an old soul – a young, cosmo female from New York, who does a combination of Lounge Jazz, Hip/Hop, and Pop music. Her debut album is rife with melody, and more than a few curse words, which is quite jarring when you see how elegant and attractive she is. Sorry folks.. that’s what she calls herself! The debut Dresden Dolls album from the early 2000’s is brilliant, and Amanda continues to make very inventive and somewhat offensive pop music today! The Dresden Dolls were one of the only drums/piano groups to tour the world! Musically, their style could best be described as literate, Cabaret, Punk! This was an artist I discovered through RPM Magazines “Album In Month” promotion (which fueled me to do my own album last year). This is Electronica and Prog all mixed together. Really inventive stuff. I heard about the singer from Carney through reading Bob Lefsetz last year. This was a forgotten album from 2010, and is great – especially from a musicianship standpoint. Kind of sounds like Jeff Buckley or Zeppelin. The singer is currently the lead actor in the Broadway Spiderman debacle! (Apparently, he is signed on to play the part of Jeff Buckley in an upcoming bio-pic)! In the album cover above, the guy already looks like Buckley! This is one of my favorite discoveries of 2011. His two solo albums are fantastic. He has a great, full-bodied voice, and very thought-provoking lyrics. His subject matter can be somewhat dark, but he writes life-affirming, positive music to accompany his words. One of my favorite albums of the year. Her music has a Bluegrassy feel with more complex rhythmic under-pinnings. Fantastic vocalist too. The opening track of this album is reason enough to check out this 2011 release. It has a King Crimson kind of feel to it, but it’s not really Prog-related. Pretty sophisticated writing. This is wonderful singer/songwriter stuff from a voice of great distinct. Kind of like Tom Waits except that Joe is still at this point, an expressive vocalist. (no disrespect to the unmatched Tom Waits). 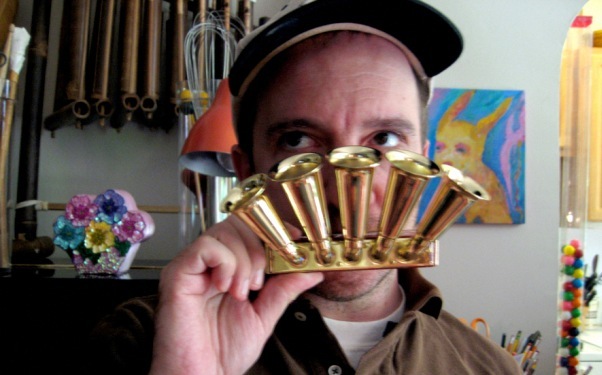 For fans of Stephen’s work in Magnetic Fields, this is more quirky and inventive songwriting. Released in 2011. 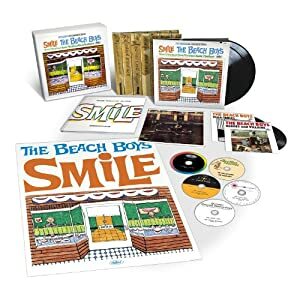 The release of the Beach Boys Smile Box Set!! This was THE music event of my year. Hands down, some of the greatest music ever written or recorded, in a package that was worth every penny. Cheers to more interesting and unique discoveries of 2012!! Episode 22 – Behind The Scenes Videos! Not so long ago, I mentioned that I might do a “Collector’s Edition” of my Italian Waffles & Scotch CD, full of extra features, discarded tracks, alternate mixes and a commentary track!! Well, that ain’t gonna happen!! Instead… I decided I would create individual videos of Behind The Scenes-type stuff, and then upload them to You Tube. I have TWO episodes uploaded. I will imbed them here for you now, if you feel like checking them out. I’m trying to get each one recorded and uploaded about every two weeks, but sometimes it’s not that easy to make happen. We’ll see how it goes! So… here are the imbedded videos! Episode 21 – My First Album Review!! I just got my first official CD review, and I wanted to share it here, mostly because it was so positive. This is care of: Andre Salles, the owner of the Tuesday Morning 3am blog. I don’t actually know Ian Tanner. But I do know Dr. Tony Shore, and he knows Ian Tanner, and without him, I might never have heard Tanner’s nifty new album. So I’m considering this close enough for a People I Know column. Tony Shore, as longtime readers know, is the man behind ObviousPop, a music blog and podcast that sheds light on power pop albums both well-known and obscure. Even though I haven’t seen the good Doctor in years, he’s been a loyal supporter of TM3AM, and he gives me tips and recommendations on a regular basis. I appreciate his friendship and his taste. Now, I’d heard Ian Tanner before I met the Doc. Tanner was in a progressive pop band called One Hundred Days, and they made four splendid little records before calling it quits in 1998. 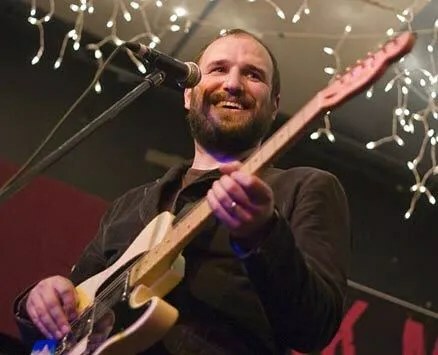 Since then, Tanner’s been relatively quiet – he made a download-only solo record in 2009 called Things Never to Say Out Loud, and he composed the ObviousPop theme song, but those are the only efforts I’ve heard from him. And that’s a shame, because he’s a remarkable talent. This is a guy who once covered the Beach Boys’ “Our Prayer” all by himself, overdubbing all the vocal lines, just because he could. He’s oceans of musical skill searching for a beach. So the release of Tanner’s first CD album in more than 10 years is cause for celebration. He worked with Dr. Shore on this one, who helped him bring it into the real world, as opposed to the virtual one. And it was worth the effort. The record is called Italian Waffles and Scotch, and it’s quirky and fun and biting and sincere and an all-around joy. Of course, it’s also a pretty bitter piece of work – Tanner makes you earn every bit of happiness and grace here. It opens with the sorta-funky “This Started Out a Love Song,” and it sets the tone with its first line: “I’m so sick of your crap.” He describes the object of his affection and scorn as “beautiful, craptacular,” and as the guitars slash and burn behind him, the two sides of his heart wage war. It’s a very cool beginning, and it leads right into a song actually called “Bitter,” so you know where this is headed. Tanner played every instrument and sang every word on Italian Waffles and Scotch, but this never sounds like a homemade project. Tanner’s so good, and his ability to harmonize with himself is so unmatched, that you’ll think you’re listening to a full band. Check out the giddiest tune here, “Ten Cartwheels” – it feels to me like one of Ross Rice’s home runs. “Though you think I’m psychopathic, I am really just ecstatic, I love you, and that’s why I am acting weird…” It’s a great melody you’ll be singing for weeks, and even if he had a live band at his disposal, he couldn’t have gotten a better vibe out of them. Tanner taps into his inner McCartney here and there, but it’s the McCartney of Band on the Run – melodically complex and eminently memorable. “Father Like Son” and “Reflected Sense of Self” fit this mold, while others, like the bizarre “Killed By Cleats/Finnish Sauna Torture/The Night He Drowned Himself” (yes, that’s the real title) spin off into their own worlds. But each time, Tanner brings things back to earth. The final tracks are the record’s most earnest, coming down off the rollicking high of “Come to the Window Tonight.” “Wondering” has a John Lennon edge to it, and some incredibly cool chords in the soaring chorus. It’s a song of yearning, of aching for something more, and it’s fantastic. But the record ends with its most graceful note – “Hearing Shelley Play the Piano” is a delightful acoustic piece about the girl who lives in the apartment next to him. There’s nothing clever or bitter about this one. It’s just lovely, and it brings things to a close perfectly. Ian Tanner is one of those guys who is just too good to stop making music, so I’m glad he’s working his magic again. This is an album that will stay with you, one that deepens with each new listen. It’s off-kilter, the work of a true individual, but give it a few spins and it will sound exactly right. Welcome back, Ian. Hope you stay a while. Episode 20 – CD Price List! so I can now officially give a detailed price list for the sale of my new CD! for Canadian, American and UK Customers. and finally, you’ll also receive the PDF file with all of the lyrics and additional artwork (not on the actual CD). and still receive all of the above (but it won’t be as fast getting to you). Send me an email at: iantanner@golden.net and we’ll arrange it together. I will go song-by-song with some explanations and tid-bits (and maybe some studio out-takes or re-mixes). On that note… in previous blog postings, I had mentioned a SPECIAL COLLECTOR’S EDITION of the album. while I’m in the midst of finishing up an existing project. Thus, I have 3-4 albums worth of un-finished, un-released material sitting around on hard-drives. It seems to me that I should focus on this CD before I start working on a Collector’s Edition! Thanks for reading, and thanks especially for purchasing my CD. Episode 19 – THE CD’S ARE HERE!! Episode 18 – CD on its way to get Duped!! Just a quick note to let you know that my album “Italian Waffles & Scotch” is officially finished! I spent most of last week listening to my album so many times (that I’m now officially sick of it! 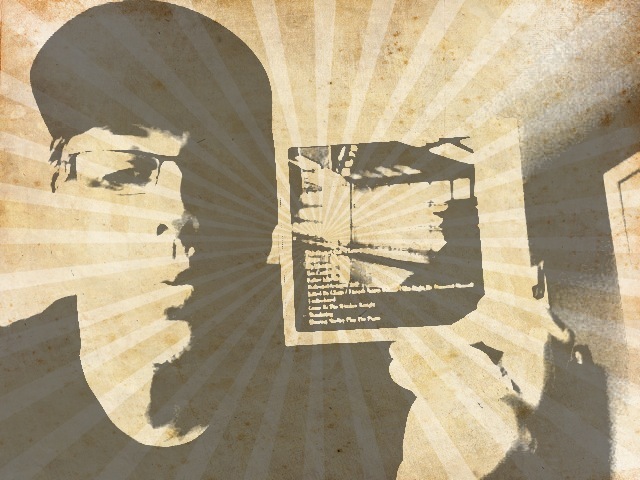 ), and it’s as good as I can get it, with my ears, my gear and my somewhat limited “mastering” skills!! I’m sending the CD off to the manufacturer today, and in about 2 weeks I’ll have finished CD’s in my hands! In the coming weeks I’ll also be releasing an iTunes digital download version of the album. It will be the same, except that it will include a PDF file with the lyrics and some additional artwork that I couldn’t afford to put on the real album. Soon after that, I’ll get working on my so-called “Collector’s Edition” which will contain the album itself, plus an audio commentary track and unreleased bonus songs. Can’t wait to get the master album in my hands!! I have to thank Dr. Tony Shore for being absolutely instrumental in getting this album realized in a real CD format! He has been a wonderful friend and his support on this project is off the chart! Talk to you all soon… hopefully with albums in hand!! Episode 17 – FINALLY FINISHED!! Hi there friends and family!! I want to let you know that after 4 months being away from home on tour (with Jim Witter and The Piano Men show), I am finally done tweaking my album!! I had a few chances to listen to my rough mixes while on the road, and there were some glaring audio errors that needed to be addressed. I am NOT a recording engineer, and although I know basically how to record albums, getting solid EQ and compression is always a challenge for me. But this is a DIY project, so I’ve had to just keep messing with things until they sound good to me. It ain’t perfect.. but for the budget of the album (zero! ), I think it sounds pretty great!! I will be getting copies of the CD, along with packaging, duplicated in the coming weeks. I hope to have the finished product in my hand in early to mid July. One thing I feel I should share is about my friend and fellow-musician Toby. Toby was on the road with me for the last 2 months in the States. We don’t really share the same musical tastes, aside from a mutual respect for traditional Jazz (although he is light years more knowledgeable in that regard than I am). He is not a fan of The Beatles nor of stuff of that ilk. For those of you who know my musical style, you would know that being “beatle-esque” is a big part of my sound. There wasn’t much chance that Toby would find my stuff very listenable. That said… Toby was anxious to check out my album while were on the road together. The first time he heard it, he had positive comments, and although they meant a lot to me, I didn’t figure he’d probably listen to the album again. By the end of the tour, he had listened to it quite a few times, and mostly when I had no idea he was. Toby’s enthusiasm for my project was inspirational to say the least. Let me be frank… I like my own stuff. D’uh.. of course I do. When I write and perform my own songs, I do exactly what I would do (! ), so of course I like my own stuff. But aside from my own sense of self-esteem about the music I write, I’m not really sure who else in this world would be interested. I do not have a big ego when it comes to promoting my own stuff. I have scads of recordings in my library that I’ve been enjoying for years, but have never shared with almost any living thing. I think to some degree I’m not sure anybody would be interested – and this feeling is even stronger when you take into account my age and physical appearance!! Toby gave me praise for my album (even in its unfinished state!) that really encouraged me and gave me great reason for inner celebrating. He can’t believe I’m not out on the road doing my own stuff. He has encouraged me to put a band together and start gigging. The idea of that is so foreign to me, I can’t even begin to describe it. But to Toby, he sees my stuff being every bit as important or relevant as anything selling lots of units in today’s music scene. So with that new-found sense of belief in my own material, my plan is to get my finished album in the hands of some people who’ve not yet heard of me. But the music industry is not what it once was, and I don’t think it will ever be the same. I will not be trying to get a record deal with this album. I think that angle is a dead-end street. Even people WITH money and big marketing budgets are having trouble selling music in today’s environment. The Foo Fighters put out a long-awaited album, and it sold great initially… but then the sales stopped, because everybody who WAS going to buy that album did, and that’s the end of the line. Meanwhile, lessor known, smaller groups like Mumford and Sons continue to grow their audience and sell albums, all this without Lady GaGa or American Idol promotion. It kind of tells you something about the new world of the recording industry. I get the feeling, based on stuff I’ve read, that being successful in today’s music scene is less about marketing and more about connecting directly with fans online. Fans are real fans – people who would gladly pay to hear more music by the artist(s) they respect – and these same people are very vocal about spreading the word around. Music that has some substance and some meaning and some inventiveness is what makes people WANT to hear it. Once the hype on a Lady GaGa-type artist is over with, there is nothing left to explore. I’m just getting excited about sharing my music with some people I never would have shared it with before. I hope I can grow my audience in an organic sort of way, where even if I only unload a few hundred copies, I’ll have a few hundred people who really like what I do, and would be prepared to spread the word in their own way. We’ll see how it all goes! Stay tuned for some info on the “special edition” version of the album I’m going to do next – with bonus tracks, movies and a director’s commentary!! Thanks to all of you who have read this and who consider yourselves friends of mine and take interest in the things I do creatively. It means the world to me. And thanks again to my friend Toby for unknowingly inspiring me in a huge way. You'll notice the PayPal buttons above. If you'd like to purchase my physical CD, click the appropriate button above. (ie. if shipping is within Canada, chose that option). If you need the CD shipped to a non-North American location, simply send me an email (iantanner@golden.net) and we'll work out something independent of this funky widget thingy! I appreciate your support and encouragement, and if you are one of the people who has donated to the cause, I can't thank you enough. I hope you love the music!